Keynote Speaker at the upcoming International Conference on Electrical Sciences and Technologies in Maghreb (CISTEM 2018). Prof. Bouchaffra gave a keynote speech at: The 2nd International Conference on Natural Language and Speech Processing (ICNLSP’18) titled: Artificial Intelligence and Machine Learning Challenges that was held on April 25 and 26, 2018 in Algiers. Guest Editors: Djamel Bouchaffra (Lead), Jenny Zhang, Diane Beck, and Jaouad Boumhidi. Prof. Djamel Bouchaffra is serving as a member of the “Commission Nationale d’Evaluation des Chercheurs” (CNEC) (National Commission for Researchers Assessment) of the DGRSDT. Nominated for the 2009 Grambling State University Teaching Excellence Award. Nominated for the 2006 Oakland University Teaching Excellence Award. Recipient of the Oakland University Teaching Excellence Award (Awardees) for 2004. 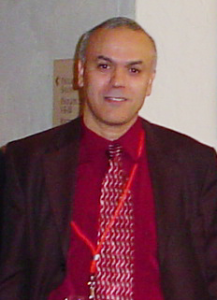 Recipient of the 2004 Teaching Excellence Award conferred by the School of Computer Science and Engineering, Oakland University. Nominated for the 2003 Oakland University Teaching Excellence Award. Nominated for the 2003 School of Computer Science and Engineering Teaching Excellence Award.